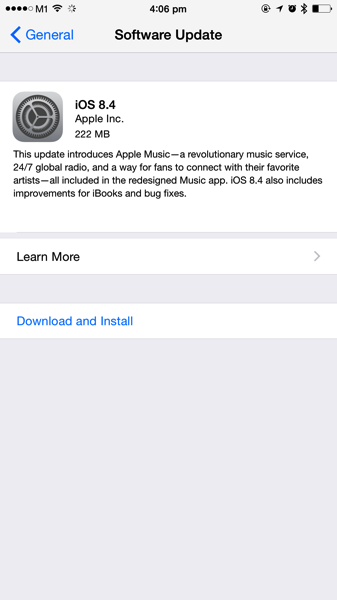 Apple Music is officially launched on 1st July 2015 with the release of iOS 8.4 and iTunes 12.2. 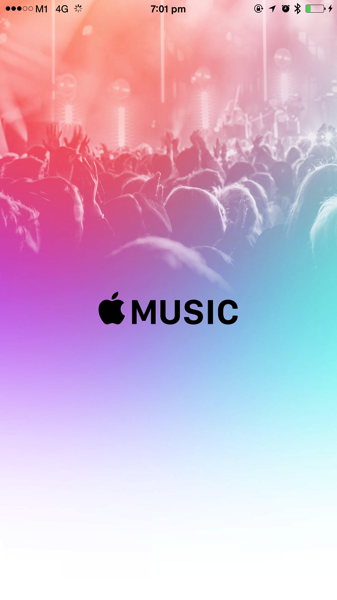 With Apple Music, Apple is hoping to capture the streaming music market share held by the existing incumbents such as Rdio, Pandora, Slacker and more importantly, Spotify and be a one-stop destination for all things around music. 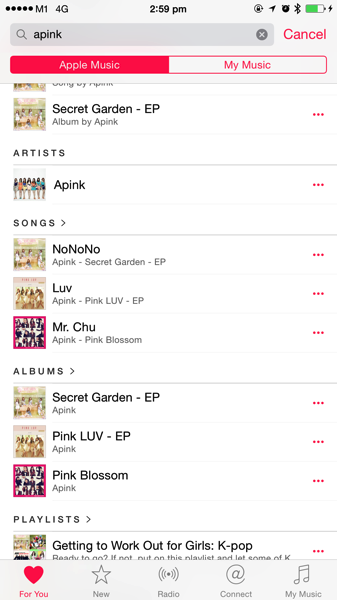 Through Apple Music, one has access to over 30 million tracks including any existing iTunes music library in one master app. 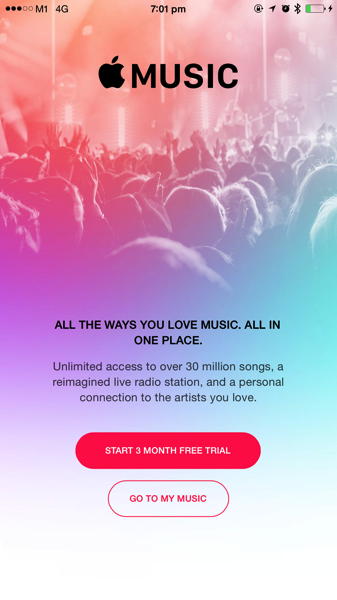 There is also a free version of Apple Music, but you can only use it to play music you’ve purchased from iTunes, listen to Beats 1 and play radio stations with ads. 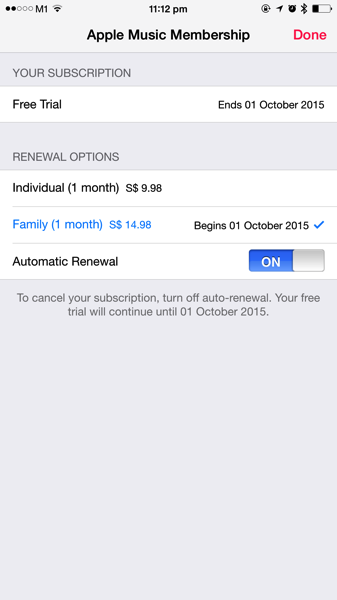 The trick is – You can cancel the auto-renewal by tapping the person icon at the top left, tapping “View Apple ID” and tapping “Manage” under the Subscriptions header. e. Upon choosing to Add the whole Album to ‘My Music’, No music is populated. Thus, the newly added Playlist remained empty. a. Hugh music library – Apple Music lets you listen to 30 million songs from the iTunes catalog, plus any music you’ve purchased from iTunes over the years. 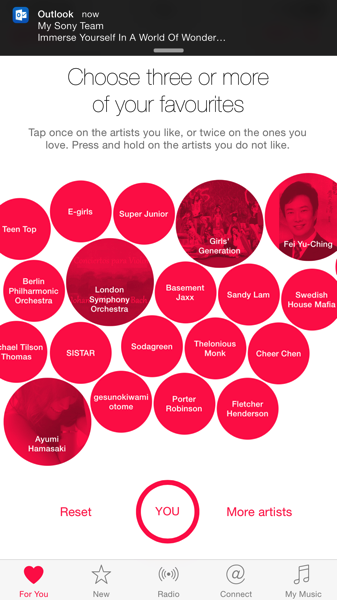 b. Relevance – The app’s recommendation system uses both algorithms and humans to pick the perfect tunes for you. a. The app’s design is cluttered with too much information and difficult to navigate. 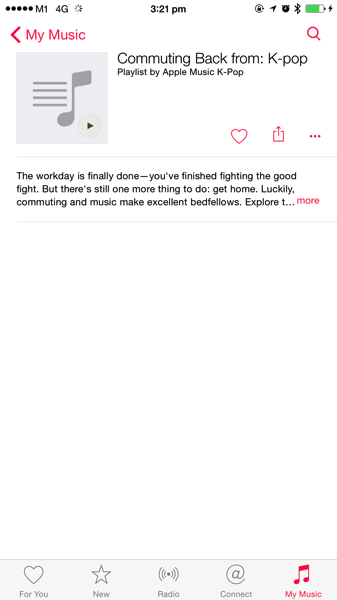 iCloud Music Library is complicated and inconsistent, and still buggy. 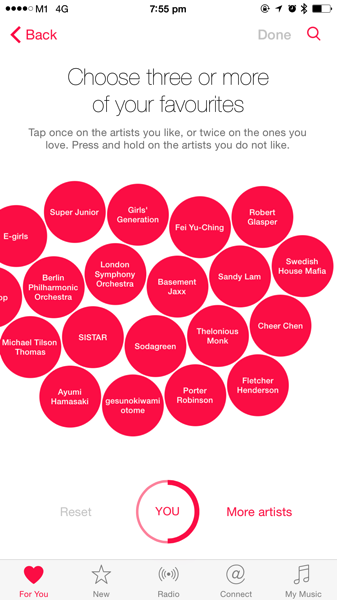 b. Apple Music on the desktop is not very user friendly – canít do basic actions like click on artists or albums while listening to a song in a playlist. c. Not available in other OS platform e.g. Android. 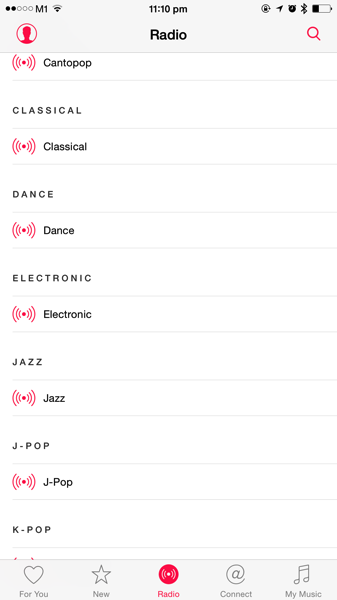 You can check the availability of Apple Music, Apple Music Radio, and iTunes Match for your region (as per established under the Apple ID account). 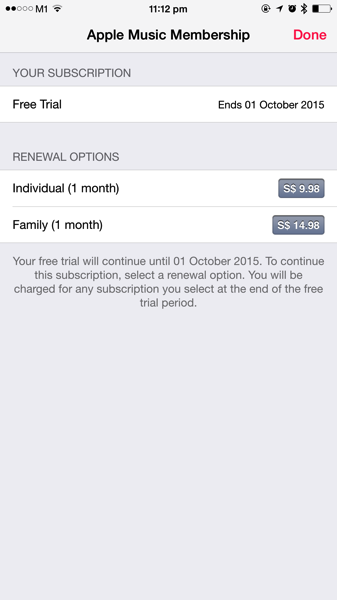 For now, the 3 months free trial will be able to entice Apple users to try out the new Apple Music services. But to be able to migrate users from other mainstream platforms e.g. Spotify, it will need to do much better especially to fix the existing bugs & issues.